Whoever can be at the Water Wheel in Frenchy’s Park, please pay your respects at noon on 11/11. 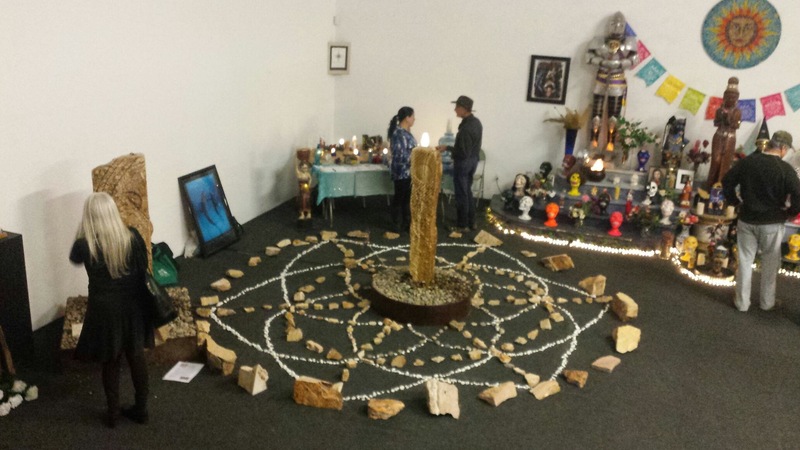 Our next Medicine Water Wheel Ceremony will be on Saturday 22nd at Noon, not 10 AM to honor the New Moon. Our beloved father, friend, teacher and emissary for water and peace, Dr. Masaru Emoto, passed peacefully at 12:50 am on October 17, 2014, in a hospital in Tokyo, Japan with his wife Kazuko by his side. He is survived by his daughter Yoko Yamamoto, two sons Kentaro Emoto & Hiromasa Emoto, and two grandsons Riku and Sora Yamamoto. His last words were “Arigato”. (“Thank you” in Japanese). Which in Japanese means to be grateful for our own existence. His family believes he was giving his thanks to all of the people who shared his vision for peace, the people he met along his journey, and everyone who came into contact with his life’s work. He was sincerely grateful for his family and every friend he had made throughout his life. He loved and thanked you all so very much. In his last book, ‘Hidden Messages From Water and The Universe’, he wrote, “Life is love a gift from God and parent, and death is gratitude for a new dimension”. So now he is in another dimension, looking over us warmly with love and gratitude. 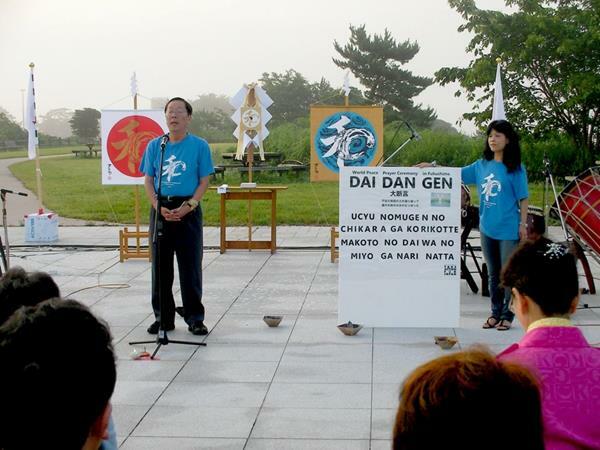 We welcome everyone around the world who would like to pay their respects, to join us in person or to Please Join Dr. Emoto’s Hado World Membership. Dr. Emoto’s passion was teaching the Power of Conscoiusness with his “Messages in Water” and sharing this information with children. He personally trained over 350 International HADO Instructors from all around the world to prepare for this very day, when he would no longer be here on the physical plane. Dr. Emoto’s International HADO Instructors show their dedication and committed to carry on his work, by teaching the new generations the truth and sacredness of water, the true power of our words, and the power of our collective consciousness so that it may resonate love and gratitude to create a better world. We are forever grateful for the precious water wisdom Dr. Emoto shared with the world. The perception of has water forever been changed by his pioneering research with hado and water that has caused a wave of transformation rippling around the planet, awakening and shifting our awareness of the power of collective consciousness. Let us continue his legacy by starting with ourselves and let love and gratitude ripple from the inside out for everyone, for all eternity. Thank You and We Love YOU! 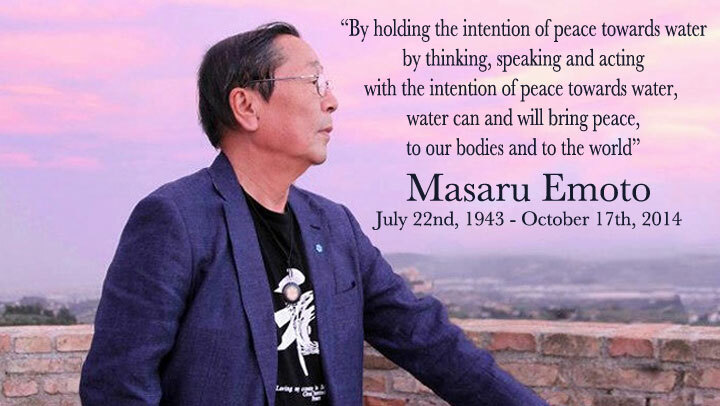 Every Month on the 11th at 12:00pm – Your Local Time Zone Let’s Please continue Dr. Masaru Emoto’s Monthly Water Ceremonies and pay our respects to Dr. Emoto and to Water by sending Love and Gratitude from our sincere hearts. Thank you for your continued participation ~ Arigato! The Ho’opono pono Prayer is a powerful hawaiian healing prayer for reconcillation. The Emoto Peace Project’s mission the to teach all people especially children the true power of our words, thoughts, emotions and prayer through water, for peace with in and around the world. The goal is to educate the truth of water to children all around the world by distributing picture book of THE MESSAGE FROM WATER to children for free. We would like to share a clue to realize world peace that we learned through the research on water in an enjoyable way. The surface of this planet earth is 70% water, and we human beings are also 70% water. We are mostly water. So, it is very essential that all children learn about water. Through THE MESSAGE FROM WATER, Children will learn that we reflect our self in water and in our surroundings. An attitude of Love and Gratitude can change us and so the entire world will be a sustainable and beautiful place for all beings. Its intended age is from 3 – 12 years old. In another 20 years or so, we hope that they will be leading the earth in a favorable direction. What we adults can do now is to give them a chance to learn about the water and the true nature of us human being. We hope that the book, THE MESSAGE FROM WATER, will be translated into many languages and be of help to realize the goal. We adults must minimize the damage done to the earth in hopes for the future by educating our children. Why did Dr. Emoto decide to focus on the children? Because children are pure, and ff we give them a chance to learn about water and the true nature of us human beings, they will grow with the right knowledge to be a good person with the attitude of love and gratitude. Pollack and his colleagues proceeded with caution, testing and ultimately eliminating various conventional explanations for the phenomenon (e.g. convectional flows, polymer brushing, electrostatic repulsion, and leaking materials). They also began investigating the properties of the exclusion zone, with intriguing results: EZ water excludes almost everything, not only suspended particles but solutes as well. It exhibits an electromagnetic absorption peak at 270nm, and emits less infrared radiation than bulk water; it has higher viscosity and a higher index of refraction than bulk water.. Most surprisingly, they discovered that the exclusion zone had a net negative charge, and that the water outside the zones had a low pH, indicating that protons had somehow been ejected from the EZ water. Charles has written for many years on a wide array of topics. You can find a comprehensive list of recent essays here. Additionally, there are many essays are on the Ascent of Humanity website.